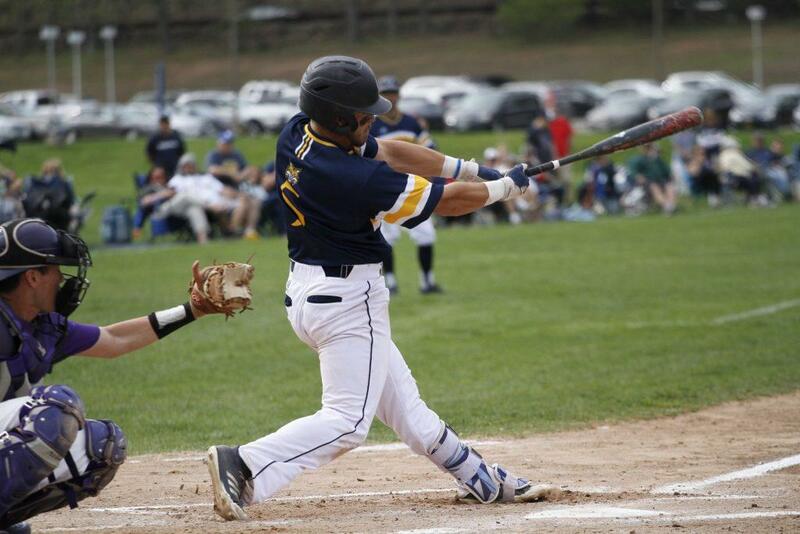 The Quinnipiac Bobcats men’s baseball team (11-15, 6-1 MAAC) saw their conference win streak come to an end as they fell to Canisius Golden Griffins (12-16, 6-1 MAAC), 9-2 in the first game of Saturday afternoon’s double header. Once perfect, the team was out of sync both offensively and defensively. On an otherwise gorgeous spring day, here are three areas of focus that made it feel like April showers for the Bobcats. Defense wins games. Quinnipiac’s miscues, both in the field and on the mound, cost them their undefeated conference record. Entering Saturday, senior pitcher Tyler Poulin led the team with 43 strikeouts and an ERA of 4.55, though he didn’t have his best stuff on the rubber. In the first inning alone, he loaded the bases twice and allowed two runs to score, giving Canisius the early lead. A passed ball in the third gave Canisius the opportunity to bring in its leading runner to make the score 3-0, and in the sixth, another passed ball gave Canisius yet another chance to score. In the six innings he pitched, Poulin gave up six hits, four runs, two walks and three errors, all of which contributed to Canisius’ win. It wasn’t just Poulin that hurt the Bobcats defensively, though. Every Quinnipiac pitcher that stepped on the mound after him seemed to put the Bobcats in a deeper hole. Redshirt junior pitcher Christian Nicolosi was brought in after Poulin, and in one inning, he allowed three runs to score. Freshman pitcher Matthew Draper took the mound after Nicolosi’s short-lived appearance, allowing 3 walks and two runs, driving the score up 7-2. Draper didn’t last long either, as sophomore pitcher Joe Preciado entered the game after him and allowed Canisius to score two more runs. The same struggle the pitchers faced on the mound carried over in the field and at the plate for the Bobcats. Quinnipiac’s day at the plate started with three consecutive strikeouts, and the pattern continued throughout the game. In six innings, Quinnipiac was only able to produce two hits, adding to a total of only four hits the entire game. Senior outfielder Liam Scafariello, the MAAC Preseason Player of the Year, was expected to do big things for the Bobcats in his final season. However, he finished Saturday with a .174 batting average, striking out in two of his last three at-bats. Andrew Marrero, with the team leading average (.333), runs (19) and hits (30), ended game one with two strikeouts and one hit. The errors continued in the field and they were detrimental to the Quinnipiac deficit, making it hard for them to recover from the loss. In the top of the eighth, a throwing error led to an added run, topping off a 7-2 score for Canisius. Canisius dominated Quinnipiac in the first few innings, carrying the momentum with them through the rest of the game. The Bobcats play Canisius at home again on April 7 at 12 p.m. It will be interesting to see what adjustments they will make to try and come back from the loss.